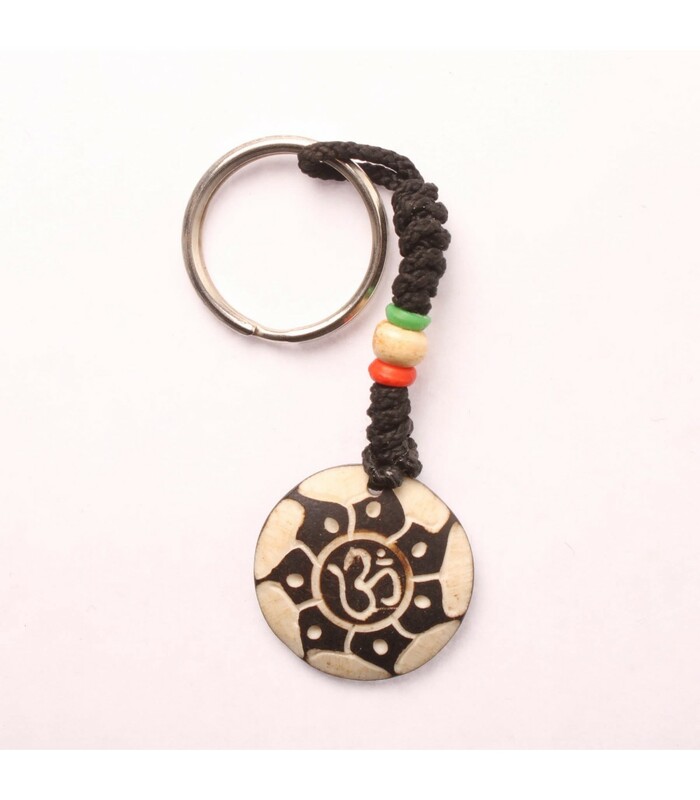 Buffalo bone key ring of round shape. Om in Sanskrit and Mandala design is crafted on top. Om is a spiritual symbol and mantra followed by different religions.